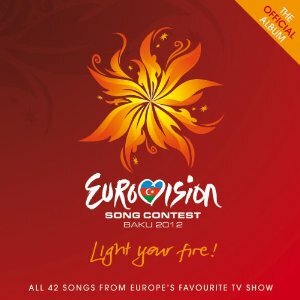 It's that time of year again - its time for the Eurovision song contest. To coincide with the contest, the album is being released with all the entries on it. While most of Europe seems to take it very seriously, in Britain its always been regarded as a bit of a joke - which presumably explains some of the entries we've put forward over the years. I'd love to have had introductions between the songs by Terry Wogan - his presentation of the TV broadcast was always entertaining and I can't help thinking that him doing some talking between the songs on the album would have boosted sales. The songs are very variable in terms of style ranging from Euro-disco, to ballads, to pop, and also in quality - from the extremely good to the truly awful. As you'd expect there is a range of languages used in the songs - some countries choosing to sing in their own languages and other countries choosing to sing in English as a more universal language. I'm not convinced by the UK entry - the selection of Engelbert Humperdinck was certainly controversial but the theory is that his fans across Europe will vote for him and improve our placings, but that's a gamble and it remains to see if it pays off. I'd still say our entry has more credibility than the Irish who have chosen the truly dire talent show rejects, Jedward. For me the best song is the Slovakian entry - "Don't close your eyes" sung by Max Jason Mai - a good rock song that stands out from the euro-disco and bland pop. Love it or hate it, there's nothing quite like the Eurovision song contest and it usually throws up a few surprises. If you enjoy the sort of music that you get entered then this is the album for you.